An update! I'm still around, just been distracted by some British prototype stuff. I am also building a new resin kit, a PRR x26 boxcar. Pics soon! Hardcoaler and gjslsffan like this. 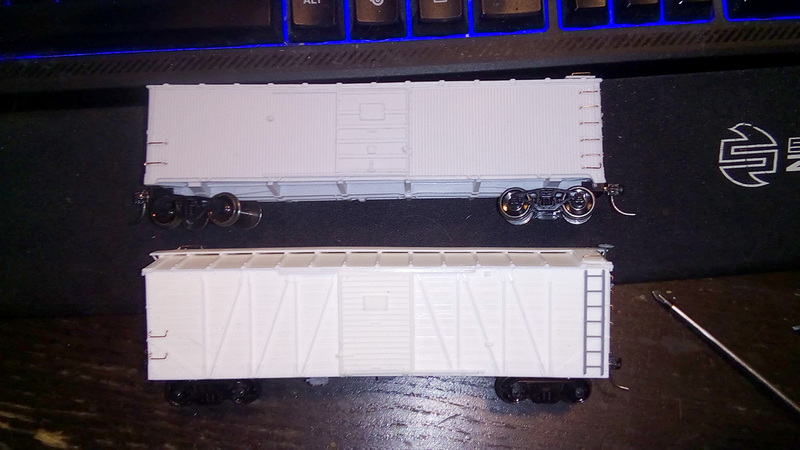 Here's a pair of F&C boxcars nearing completion; the brake sprue was missing from the Lehigh Valley car kit, so I cannot finish it until I get another, but other than that and the stirrup steps (I will use etched ones, the resin ones are so flimsy!) they're all ready for primer and paint! fordy744 and gjslsffan like this.